The last 2 posts were about lone star quilts. Today I decided to show a few of the “other” star quilt tops I have waiting for me to hand quilt. Here is how I have a lot of the tops stored. 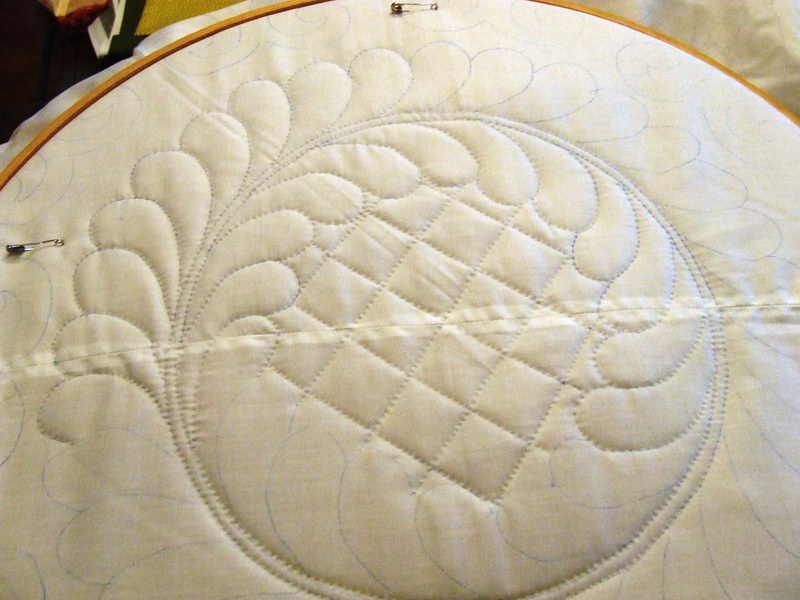 This entry was posted in Quilts and tagged Quilting, Quilts, Star Blocks, vintage quilt tops. Wow!! over what period of time have you been collecting these tops? I would LOVE to make a Pickled Dish quilt. Do you have a pattern? Tim, you rascal, you. That said, I do love that start quilt, third row down on the right, I’m blanking on the pattern name at the moment (my Brackman’s has made the move to the city already, I’m still in the suburbs, at least for the weekend), but I am a sucker for a good indigo/white. And I really like that unusual setting of that Ohio Star (fourth row from bottom, center) — the scale is different too. Very striking. Flannel, interesting, yes that would be a different texture/weave/nap to quilt. I like the Nile-ish green on that one. LOVE your storage method of the pics showing what’s in each box. And it’s an impressive collection! Thanks!…..I need to get a lot more of them stored that way …there are about 100 to go. It helps to know what is in each box! Those quilts are such an inspiration! Love your work. yes I do…and this is just a few of the quilt tops I have! 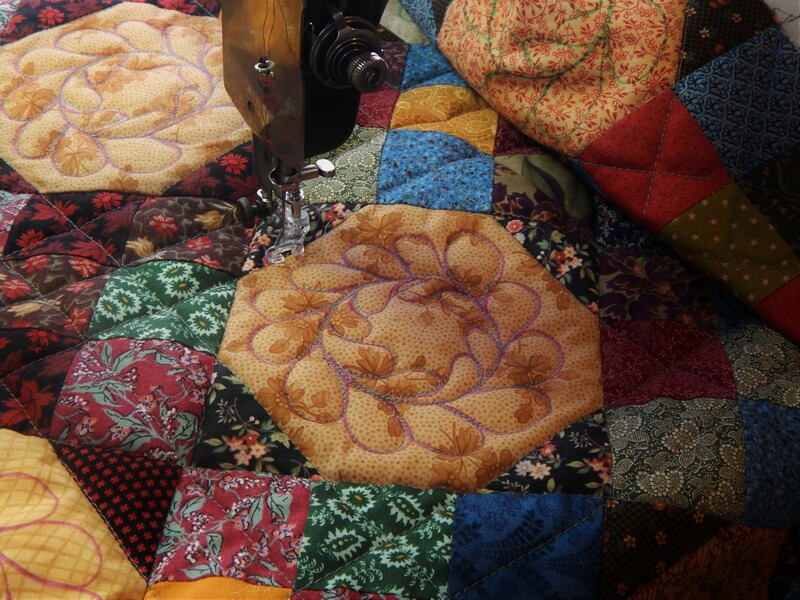 Time for the lucky drawing giveaway on your site to win a couple of star quilts! Has to be the double pink background one, or the red, white, and blue one, or the one at the top of your blog. Is this a test? Your storage system has made me feel like a slacker! My goodness you have a lot to do! Love seeing your progress, it’s quite inspirational to get busy myself! I have only about half of them so nicely stores…..its a lot more fun to quilt than to organize! What an absolute treasure trove of star quilts! It’s so wonderful that you’ve got them and are going to bring them to life by quilting them! I like the photo page on your storage tubs. I’ve been trying to decide how to re organize my tops, I have them in boxes and tubs and have to dig threw them when I’m trying to find a particular one, always find a few I forgot I had.love the last one in row ten, with the green background. Wow! I love them all. Thanks for sharing your storage system. That’s a great way to know what’s – where. How long have you been collecting these tops? Are most of them ebay purchases? I also look forward to your posts – thanks for making my Sunday. Ok, I would start with the one you have posted at the top of the blog, a true star quilt waiting to be seen! Unless you have a lot to do with the edge of the quilt and then forget it for now and get the green sashing one with the pink and blue stars on it, looks to be ready to quilt, better yet, spread them out on the floor and I bet Teddy will sit on the next one that should be done! 🙂 You need to trust your sidekick! what an embarrassment of riches-love stars! 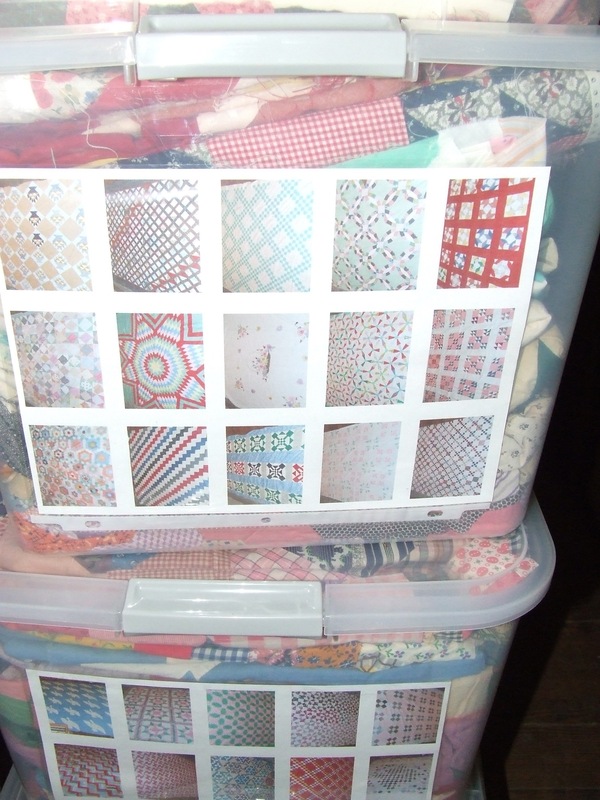 You have a great method of storing/keeping your quilts organized. I can only imagine how much fun it is to take them out and imagine the what-if’s for quilting! Fabulous array! How on earth do you decide which one is next??!! I am amazed at your collection of tops! Beautiful! I know you’re a prolific quilter, but you’ll need to live a long long life to hand-quilt all those! Enjoy! 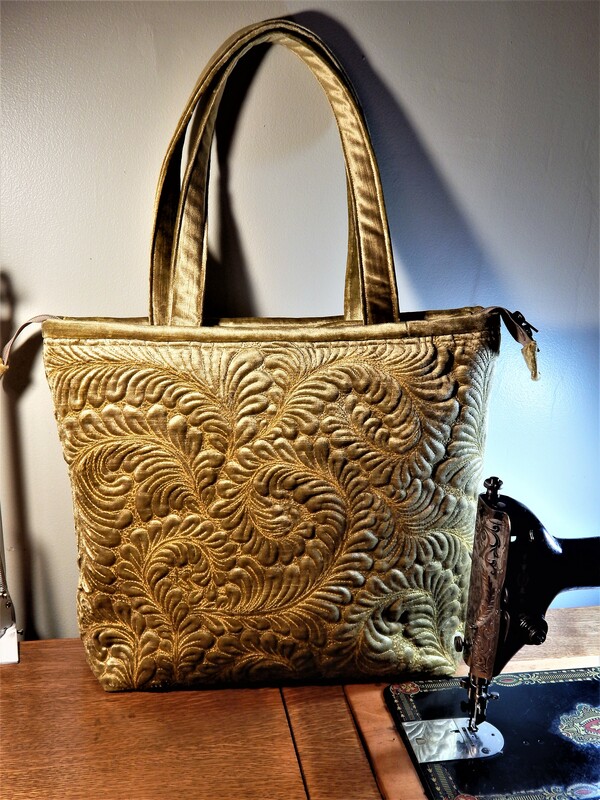 I love how you have stored and cataloged the tops with photos on the outside of the totes. Great idea for those ufos that get forgotten. You sure have enough handwork to keep you busy for years to come. Love the fact you have rescued these tops and will finish them up and interpret these patterns to make more quilts. Oh my friend, you better live to be 200 so you can finish all of these! I didn’t know you had so many! What an awesome collection!!!! Unbelievable and beautiful! Those storage containers must feel like your own personal candy shop! Such a terrific collection. I am turning green lol. Star quilts are my favorite. They will be gorgeous when you are finished quisling them. 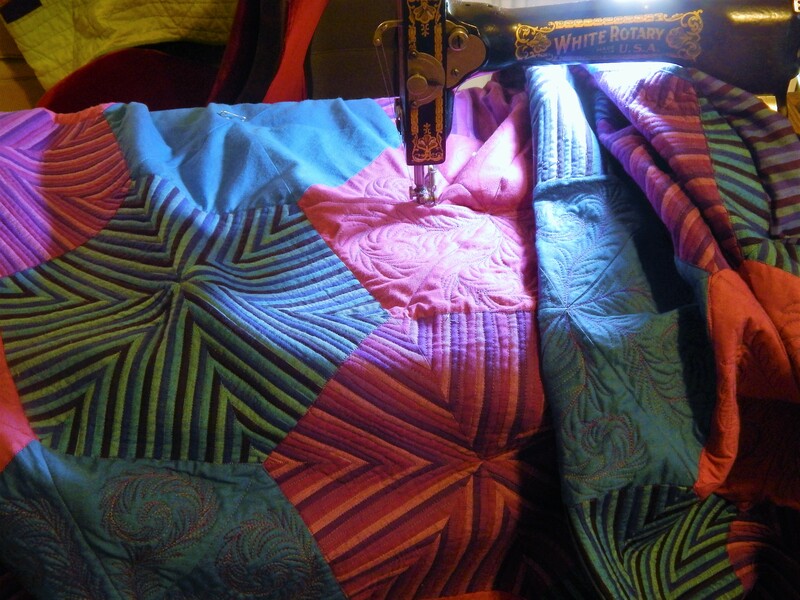 I do have some great ones….wish I could spend all day quilting!